Most activewear and performance-wear is made at least partially from polyester. Many, many clothing items made from jersey (tee shirt material) will be a blend of polyester and cotton. Anything weatherproof (raincoats, winter coats, hiking pants, etc. etc.) is almost certainly polyester. Most swimwear (mens and womens) is partially or completely made of polyester. 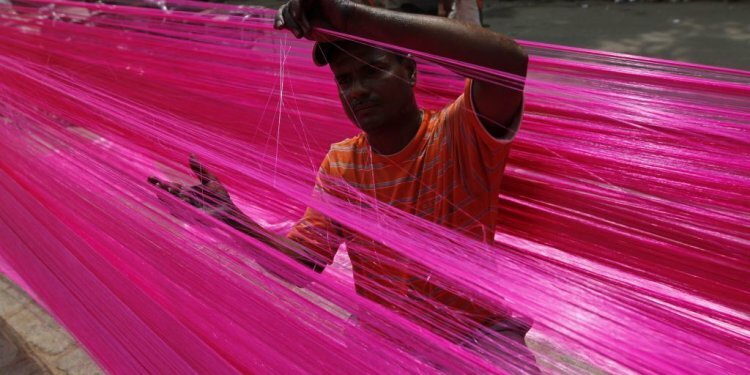 And if any of the above do not include Polyester, they probably include Nylon or Supplex instead...which are essentially more expensive branded fibers very similar to polyester. Polyester is typically also used to make imitation silk and faux leather. A lot of satin will be made from Polyester as well. These fabrics appear in high-end clothing...polyester is not just for cheap garments. It is cost-effective, high-performing, and versatile, making it extremely useful across the clothing industry. It is easy to print on, holds color well, and doesn't have the washability or shrinkage problems of many natural fibers. Polyester got a bad name for itself because it is often associated with itchy, cheap-feeling garments from the 1970s and 80s. But in addition to having performance qualities that make it optimal for activewear and outerwear, polyester can be used to effectively imitate natural fabrics including (as mentioned above) cotton and silk. Despite what might seem like a glowing overview of polyester in this post, I'm actually much more interested in natural fibers as a designer and a customer. But I do think that polyester has an overblown stigma around the name that is undeserved.